"I think Mitt Romney's a good, moral man, but those of us who are born again followers of Christ should prefer a competent Christian," said Robert Jeffress, pastor of the First Baptist Church of Dallas, which has a congregation of about 10,000 and has long been considered a highly-influential church in evangelical circles. Jeffress, who's endorsed Texas Gov. Rick Perry and introduced him at the Values Voter Summit in Washington, told CNN Political Correspondent Jim Acosta that the Southern Baptist Convention "has officially labeled Mormonism as a cult." In fact, a website maintained by the Southern Baptist Convention lists the Mormon faith under its "New Religions and Cults" section, which also includes Jehovah's Witnesses and the Church of Scientology. "That's why I'm enthusiastic about Perry," Jeffress said, later adding: "I again believe that as Christian, we have the duty to select Christians as our leaders…Between a Rick Perry and a Mitt Romney, I believe evangelicals need to go with Rick Perry." Perry distanced himself from the comments Friday night, telling reporters in Iowa he doesn't think the Mormon church is a cult. This isn't the first time the Dallas pastor has hit Romney over his religion. During the 2008 campaign, he made similar comments. But if it came down to a contest between Romney and President Barack Obama, Jeffress said he'd still vote for Romney, although holding his nose at the same time. "I would rather have a non-Christian who at least supports biblical principles than a professing Christian like Barack Obama who embraces unbiblical positions," he said. When asked for a comment, Perry's team said it was the event organizers–not the campaign–who asked Jeffress to introduce the candidate. "The governor does not believe Mormonism is a cult," added Mark Miner, Perry's national press secretary. Michael Purdy, a spokesman for The Church of Jesus Christ of Latter-day Saints declined to comment on a statement "made at a political event." "But those who want to understand the centrality of Christ to our faith can learn more about us and what we believe by going to mormon.org," Purdy said in a statement. The Romney campaign said it will not have any comment to the remarks made by Jeffress. Meanwhile, Tony Perkins, president of the Family Research Council, which helped organize the event, said on CNN's "John King, USA" that his group gave Perry a heads up approximately two weeks ago that Jeffress would be introducing the governor. "We sent it to the campaign. They signed off on it," Perkins said. "I don't think there was any other communication beyond that. The campaign did not know what he would say. We did not know what he would say." Jeffress made his comments about Romney in a conversation with reporters, not in his introductory speech for Perry. Later on Friday, he stood by his comments, saying it was his job as a pastor to support a candidate of the Christian faith. "I don't hate Gov. Romney. He's a good, moral person," Jeffress told CNN's Chief National Correspondent John King. "But as a preacher of the gospel of Jesus Christ, I have the responsibility to proclaim what the Bible proclaims." Dems, while the GOP continues to expose itself as the greedy, loony, intolerant bunch of yahoos they are, we must keep up the fight for the Middle Class and a real future of our country, fueled by education, opportunity, innovation, technology, new industry and living-wage jobs. President Obama isn't perfect; he's made some missteps, and I wish he'd start issuing Executive Orders and use reconciliation to get his agenda passed. That said, we must push and SUPPORT him – because if we lose in 2012, the 8 year Bush reign of error will seem like a picnic compared to what the GOP and their religious right fanatics would wreck upon our nation! What I want to know is what "non-biblical" principles Obama supports that Perry does not. How about starting with the basic 10 – and let me know when you get to the first one that Perry supports but Obama doesn't. I love to read flaming liberal hate pieces against religion and conservative politics. Jeffress is a nut, plain and simple. We was a nut in Wichita Falls, and now he's a nut in Dallas. Kennedy went through the same religious issue. There are statutes making churches tax-exempt, as long as they serve a religious purpose and refrain from preaching pure politics. Does that describe this church and its pastor? My taxes and yours are supporting this hateful, politically charged dominionist who'd love to see everybody who doesn't believe in his particular flavor of Christianity be made into a second-class citizen . . . assuming they'd still be allowed any access to the political process. Our founding fathers were wise beyond belief when they mandated a clear separation between church and state. Not to say I'm sold on Romney, but I think the religious situation shouldn't be argument. Bigotry is alive and well. Since when does someone who professes to be a true believer of Christ falsely judge and condemn other believers in Christ? Mormonism is NOT Christian. It goes against the fundamentals of Christianity, apart from using the name of Jesus Christ. No point in ranting in vain, just read the Christian Bible and the Book of Mormons and you will understand (perhaps). In fact, according to the book of Revelation 25:18, those who teach 'another gospel' will have their part in the lake of fire. And people wonder why I'm still nominally Catholic. For all the issues, there is something to be said for requiring every ordained member to have real training in logic and debate, and knowing when it is better to silence is the better choice to yelling "I'm a hypocritical idiot who can't keep his mouth under control." When it comes right down to it every iteration of organized religion is a form of cult. You see, people? This is why we can't have nice things. Most politicians "proclaim" to be Mormon, Christian, Muslim, and everything else, but I'll tell you what they really worship, Power. By their fruits ye shall know them. 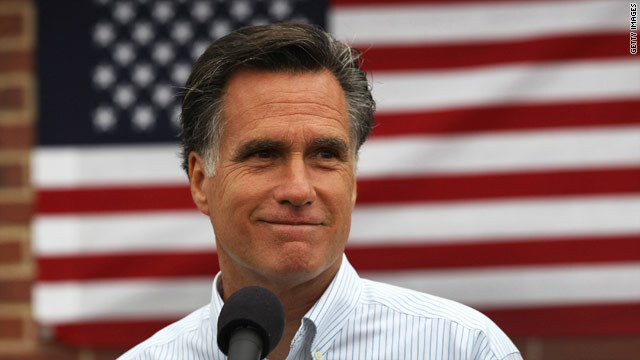 Romney's life speaks volumes about his faith and christian values. This pastor fruits seem to contradict what he claims to believe.